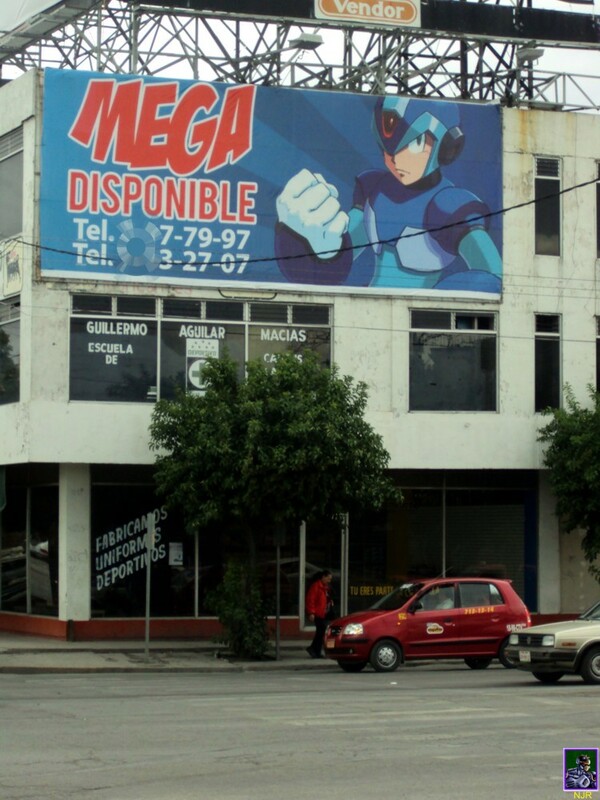 This curious, albeit unofficial use of X's image was spotted by Nuevos Jeugo Retro at an undisclosed urban location. 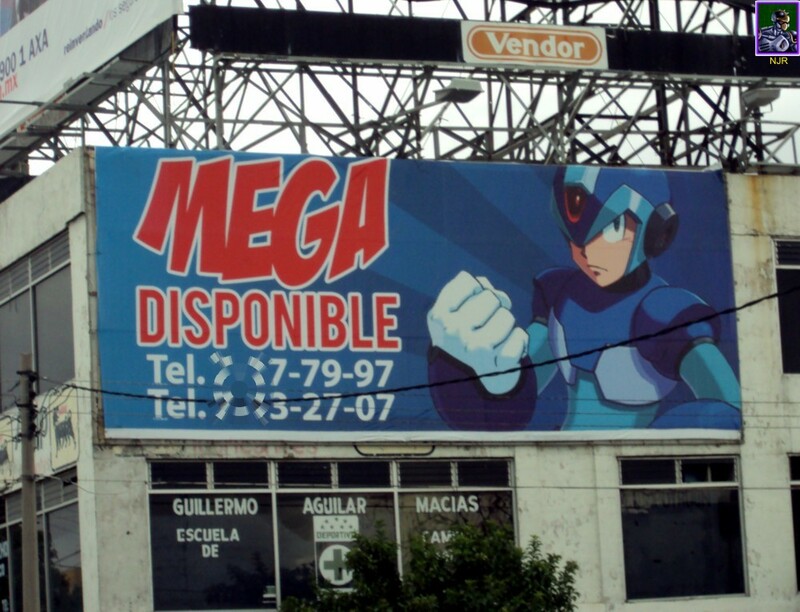 Translated as "Mega Available", the billboard is apparently advertising vacant property within the area, likely the very building it adorns. The billboard is a popular attraction among Spanish-speaking MM fans, with pictures dating back to September of 2010. Wherever it is, the sign is pretty new and likely still hanging. You can check out a few more photos of this odd sighting at Nuevos Jeugo Retro. 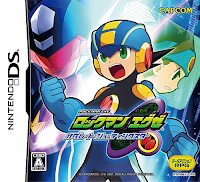 Not long after the small delay for Mega Man Battle Network: Official Complete Works, word has it Japan is seeing their own set of delays in the form of the reprinted editions of Shigeto Ikehara’s Rockman 7 and Koji Izuki’s Rockman 8 manga adaptions. Online retailers such as Tanomi and even the books' publisher, Wedge Holdings, have chosen to delay both titles until a little later this Spring. Originally scheduled for a February 22 release, Rockman 7 Volume 1 is now set to ship towards the end of March followed by Volume 2 in late April. 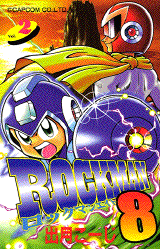 Rockman 8, being released in a single volume, won't hit store shelves until late May. A reason behind the delays wasn't disclosed. We've yet to hear if these reprints will offer any additional content to set them apart from the original prints. At best, I think we can expect some new cover art by Ikehara/Izuki, and perhaps some commentary or a nice conceptual art section, or two. And who knows, maybe UDON will translate and release these some time later. One can only hope! Not laugh out loud hilarious, but, hey, it's pretty cool to see Mega Man 10 getting some mainstream exposure. 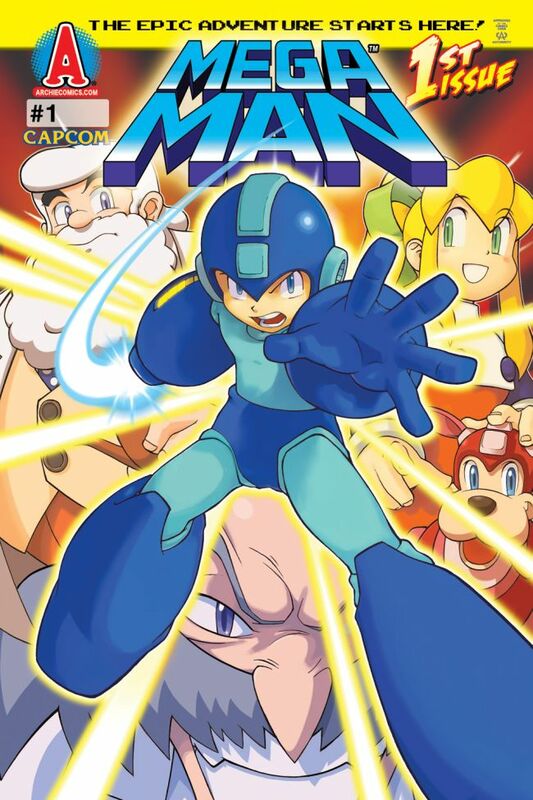 Actually, this won't be the last of Mega Man on MAD. A commercial for this coming Monday's episode shows Mega Man standing in as a judge for "Gaming's Next Top Model" -- a spoof of, well, America's Next Top Model. I've seen the spot air about four times now every couple hours, so if you've got CN, tune in and see if you can catch it. That episode airs February 28th, 2011 at 8:15PM PST, with reruns scheduled throughout the week. Hopefully, someone will record it! Ah, Mega Man Mania. It's hard to forget such a promising collection: all of the original Game Boy Mega Man titles, I-V, in a single cartridge, complete with newly added color pallets and extras. As fate would have it, Mania wasn't meant to be. Originally announced in 2003, the anthology was met with a plethora of delays until the project was eventually canceled in 2006, due to a misplaced source code. Though the project may be dead, the passion from the fans to see this baby green-lit remains, unwavering. 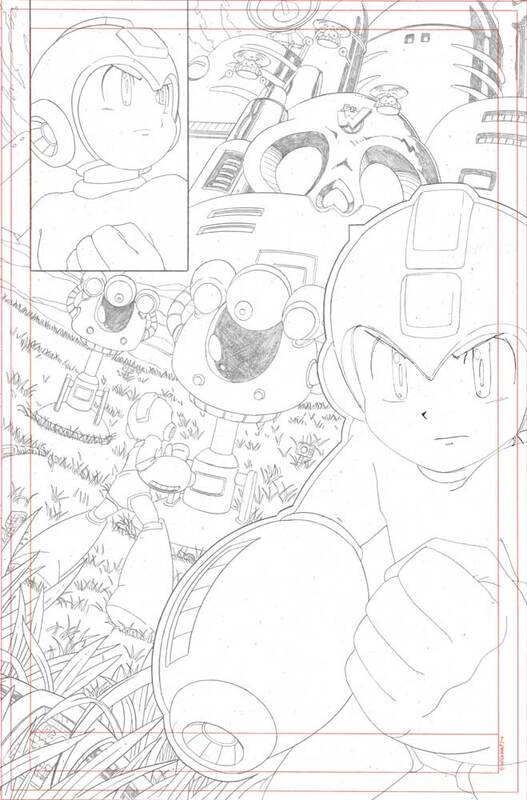 Our pal Heat Man over at The Mega Man Network whipped up this truly inspiring pitch for a revived Mega Man Mania... a pitch that has gone so far to catch the eye of Capcom. The latest episode of Game Center CX aired in Japan last week, and Rockman 4 headlined the popular segment "Arino's Challenge" in which host Shinya Arino attempts to best a classic video game, or meet a set challenge. The Rockman 4 portion, broken into three parts, is available to watch online, albeit in raw Japanese format. Thankfully, Arino's shenanigans transcend the language barrier, making the experience enjoyable for all. Part one's below; hit up this link here for the rest! 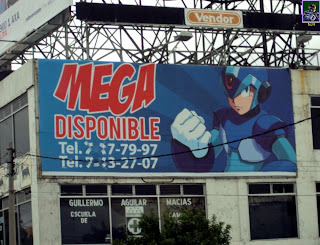 I don't know what it is with Mega Man and promotional spots -- they're awful. These brief thirty second ads almost always feature children professing, no, screaming about their love of the blue bomber. The idea sounds cute on paper, but its execution comes off as, well, pretty annoying. Yikes. Well, thankfully, this promo did not hit airwaves; it was originally attached to programs released on DVD by ADV Films. One of these days, we'll get ourselves a real commercial. You know, something on par with the quality produced by Japan; those are soooo much cooler than the ones we get in the west. Thanks for the submission, Jake! Just one year after its release, Rockman Zero Collection is heading back to market under a new budget price. On April 21, 2011, Rockman Zero Collection will be re-released under Capcom's "New! Best Price!" label, priced at 2,000 Yen (roughly $23.95 USD). The game itself will remain unchanged from its original 2010 release, save for a slightly alternate packaging. Usually, Capcom does these best price things in groups so it's a little odd to see Zero Collection all by its lonesome; where's Operate Shooting Star's budget re-release? No sign of that at the moment, but do recall the game was already marketed far below the standard DS game price tag... that and it wasn't a hot seller to begin with. Ah, now this is the news I've been waiting for! It goes without saying, but the Mega Man Legends series is home to some of the best voice work ever done for the Mega Man franchise. Ever! That said, I really can't wait to hear the work done for Mega Man Legends 3 -- with, or without the original cast. 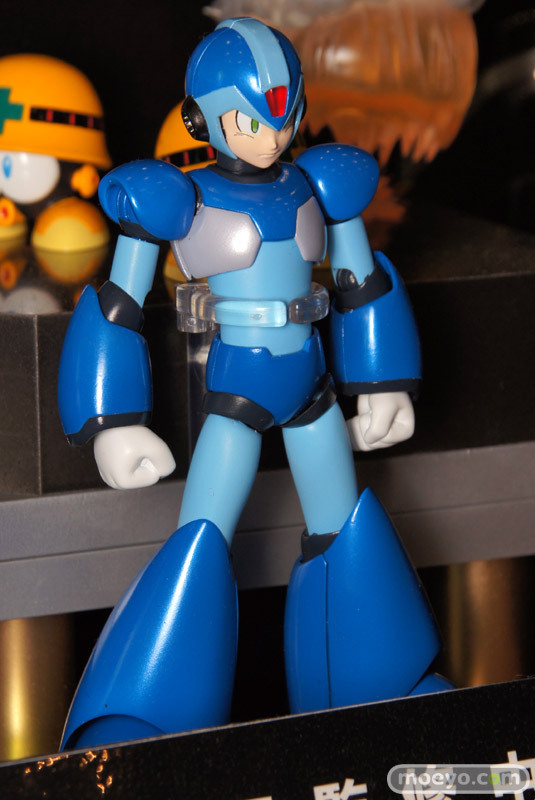 Q: What prior experience do you have with Mega Man? 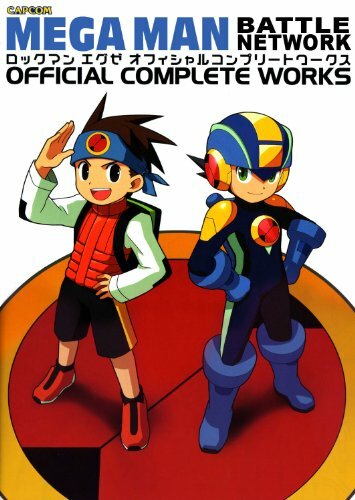 What about the Mega Man Legends series specifically? A: I have actually worked on another game with the MegaMan characters last year and so I became much more familiar with the series that way. Though I was playing a different character for this title, it was still fun to play in the MegaMan world. My husband told me a lot about the characters and the world when I found out I was cast, since I grew up without a TV and missed many shows (especially Japanese animation). I am excited with what a respected franchise it is though. Hm... who could she be? We really didn't have ourselves a "vocalized" Mega Man game last year, unless, of course, she's referring to Mega Man Universe whose production would have taken place within 2010. The possibility that she's referring to Marvel Vs. Capcom 3 is something that shouldn't be overlooked, either. Now that voice recording is taking place, perhaps we should begin to ramp up our support for the return of some of the original cast members? Huge fan of Rob Smith, here, and I'm praying the man will return to voice Teisel Bonne. I'd be great to hear Caroly Larson (Tron) and Tracy Ryan (Roll), too. If they can't return, well, that's okay in my book. As long as Capcom can continue to uphold the quality of acting Legends is known for, then I think we'll be alright. More on this story over at the U.S Devroom! It really goes with out saying, but the lack of any Mega Man incarnation in Marvel Vs. Capcom 3 came as a huge, huge surprise. For a character so closely associated with the Capcom brand, his absence is truly unsettling. Thankfully, we can change that. Maybe. Beginning earlier this week, the Capcom Unity forums have begun accepting character suggestions for upcoming DLC. Users can vote on a total of five characters for Capcom and Marvel until February 28th. The thread(s) lock during the night, so if you want to speak up you've got to do so during the day. 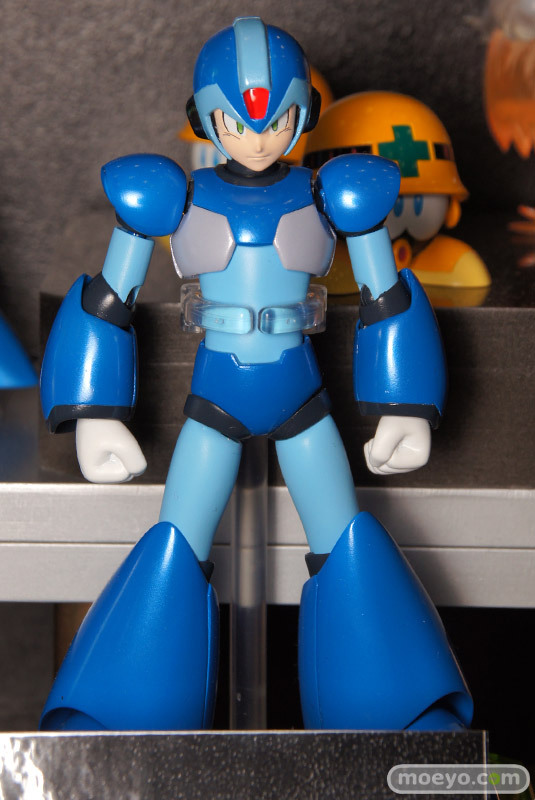 You're free to suggest any characters that you want, not just Mega Man. However seeing that he is one of if not the most demanded character on the Capcom side, it couldn't hurt to toss him a vote. 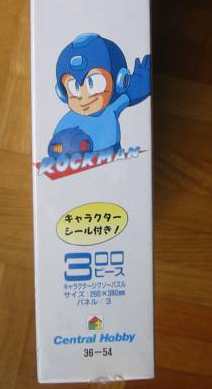 To those of you who collecting all kinds of rare Mega Man/Rockman merchandise, it doesn't get much more rare than this. Check out this auction for an original Plug-In PET, which comes complete with all accessories. Current price is at a hefty $250 ("buy it now"), however, the seller is willing to negotiate via the "make an offer option." Shipping is, thankfully, free. The original Plug-In PET toys are pretty hard to come by these days, complete sets especially. The Plug-In PET boasts a lot of neat little features and gimmicks, all summed up quiet nicely in this video review by reader Amir. I highly advise checking it out if you'd like to know more about the device... or just want to see it in action. Part one of the review is here, part two here. 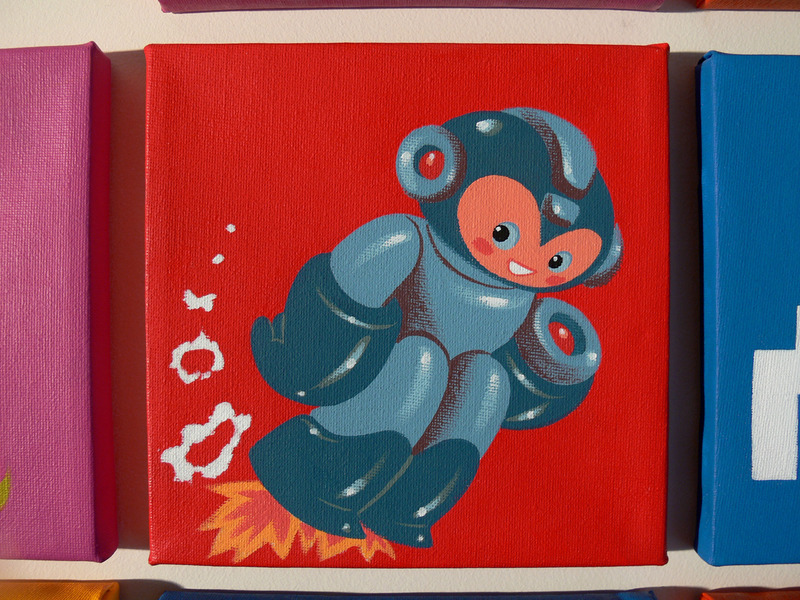 Mega Man In The Smithsonian? It Could Happen! The Smithsonian Institution, one of the largest (and undeniably coolest) museums in the world, is on the verge of paying tribute to the world of gaming with the exhibit "The Art of Video Games." 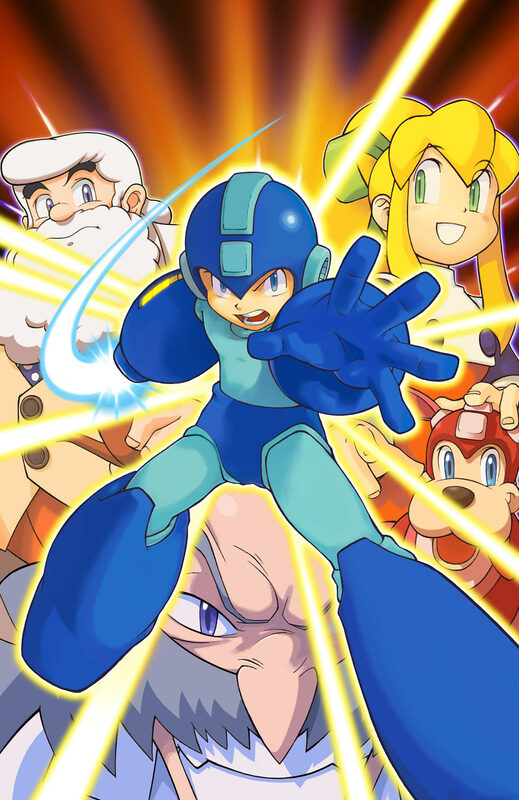 Lots of Capcom games are in the running to be featured, and to the surprise (and dismay) of some, Mega Man 2 is eligible. "The Art of Video Games exhibition will explore the 40-year evolution of video games as an artistic medium, with a focus on striking visual effects, the creative use of new technologies, and the most influential artists and designers. 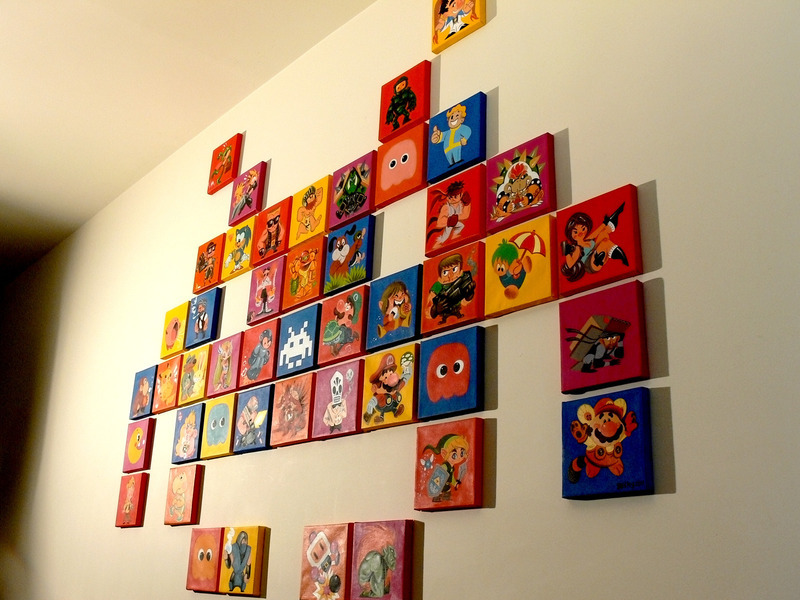 We want you to help us select the eighty video games that will be represented in the exhibition. Remember, this is an art exhibition, so be sure to vote for games that you think are visually spectacular or boast innovative design!" The exhibit is being broken down into eras, with Mega Man 2 representing the 8-bit console generation. So, how do we get the Blue Bomber in? Voting, of course. 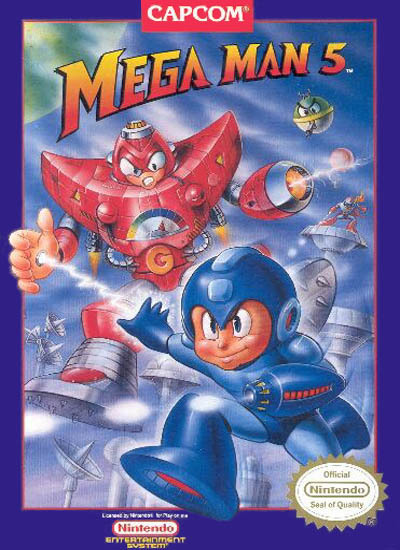 Register at The Art of Video Games (free), and simply place your vote for Mega Man 2 under the era 3 category.The title looks to be facing heavy competition from the likes of classic 1st party NES titles. Do your part and vote. 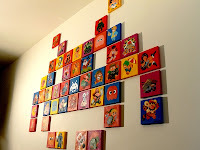 The Art of Video Games is scheduled to be open to the public on March 16, 2012. We have ourselves a boatload of new D-Arts Rockman X images directly from a recent Bandai event in Japan. The shots provide a nice look at the final figure, its included accessories, and few big images of the D-Arts Zero silhouette teaser. Check 'em out below and more after the jump! 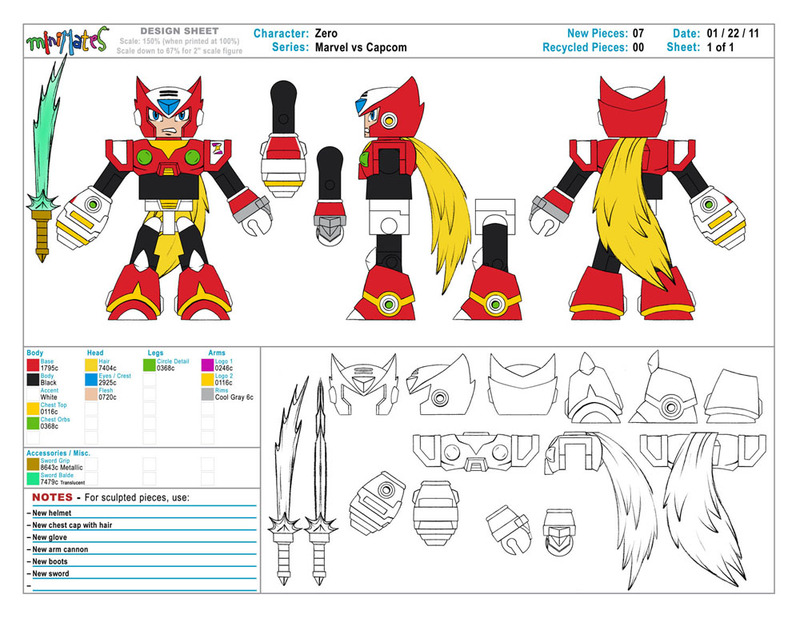 Above, design sheets for an upcoming Zero "Minimate" from Art Asylum. 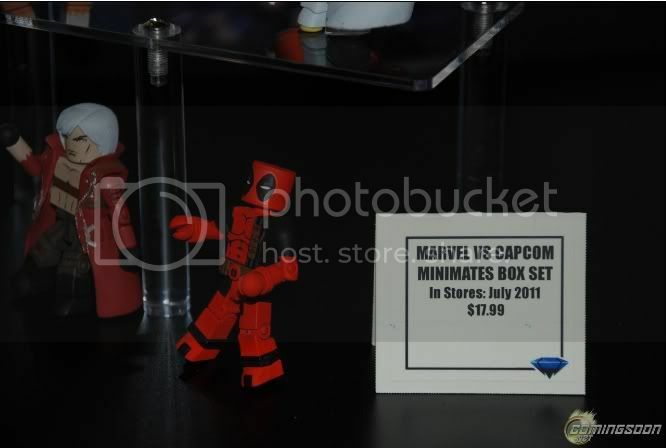 The figure is being produced as part of the company's Marvel Vs. Capcom 3 line, set to release within the year. 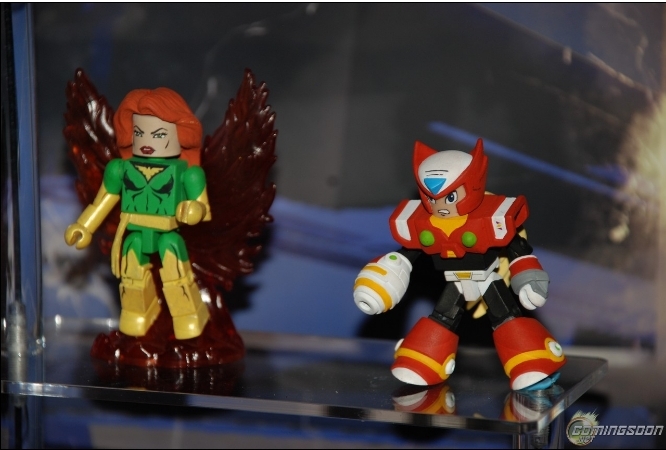 Every character will be represented in the line, so a Tron figure is expected, too. 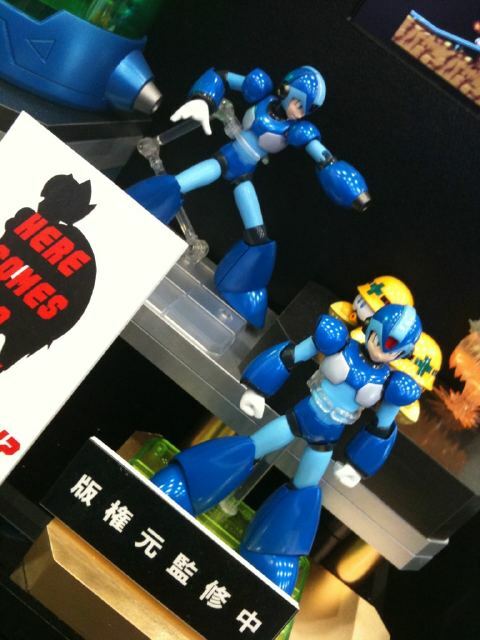 Rockman Unity's Ucchy-San Tweeted these two photos from Bandai's D-Arts booth, teasing the development of a Zero D-Arts action figure. 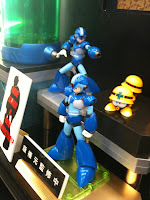 No surprise here, but it's nice to see things shaping up (via The Mega Man Network). Rest assured, we'll be hearing more D-Arts Zero news from our pal Adam Newman at Bandai in the new future. Still haven't subscribed to Archie's upcoming Mega Man comic book series? Here's a nice little incentive for ya: if you subscribe now, like right now now, Archie will send you a free poster autographed by artist Patrick 'Spaz' Spaziante. While Archie hasn't shown off what this poster will look like, one thing is certain: quantities are extremely limited, distributed exclusively through Archie's own online store. So, what if you subscribed to the comic weeks ago? Do you still get a poster? Unfortunately, I've got no news on that front, but it couldn't hurt to shoot Archie Comics a message (FaceBook, Twitter). I'll be looking into this, too, so do stay tuned for an update. In the meantime, hop on over to Archie and secure yourself a subscription ASAP! UPDATE: Spoke with an Archie rep. Yes, if you subscribed when subscriptions were originally announced (two weeks ago), you are eligible to receive a poster, but you've got to contact them and let them know you want it. You'll be ask to give out your name and address; the poster will ship alongside issue #1 in early May. Act quickly, because once these posters are gone, they're gone for good! "Mega Man Can't Beat Air Man"
KurkoBoltsi's rendition of the ever-popular Mega Man versus Air Man trope is a true sight to behold... even if you're sick to death of the meme. Well, it's really no wonder why he can't beat him; the bot's a rampaging behemoth of Mobile Suit proportions! 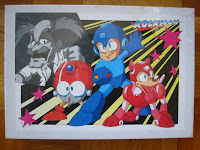 In all seriousness, this is a great piece of work... well worthy of a spot within the pages of Mega Man Tribute. KurkoBoltsi has high hopes his piece will go on to be featured in the forthcoming art book, and I really can't see why not. 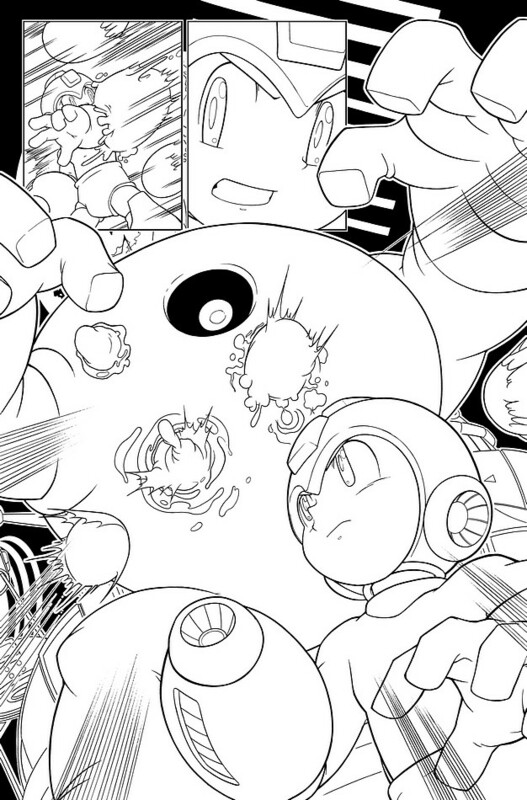 I do apologize for slacking off on the Mega Man Tribute submissions... but no more. Should something of equal awesomeness come my way, I'll be sure to feature it. 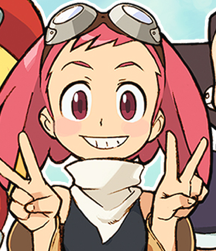 Three No, four bits of tantalizing news from the Mega Man Legends 3, tonight. For the sake of convenience, it's all been rounded up into one post! First up, a rocket progress update. 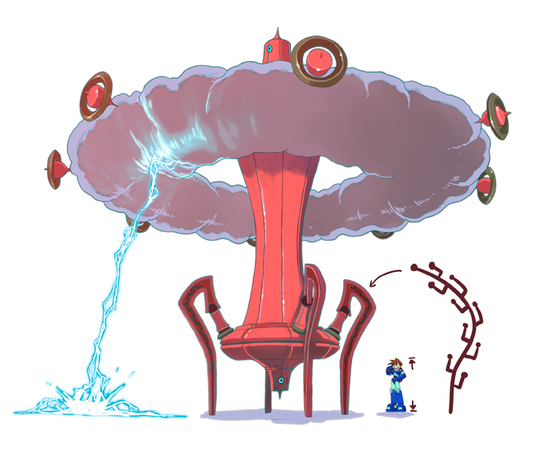 February is upon us, and that means another increment in the "Save Mega Man Rocket Project." This month the rocket is now at 13% complete, a slight bump from January's 11%. Coinciding with the update, a new progress report by Servbot numbers 1, 26 and 38, and a brand spanking new piece of artwork (pictured). Second update: a new Heroine progress report. Sound production member Yamanaka-san discusses mostly about the trials and tribulations of ADR, the different types of scripts produced for the game, and even showed off a sneak peek at the localized English script. UPDATE: Make that four bits of Devroom news! Capcom Japan has posted a neat 3D model viewer of Aero, which you can play around with here. It's pretty neat despite the lack of shading and noticeable clipping. 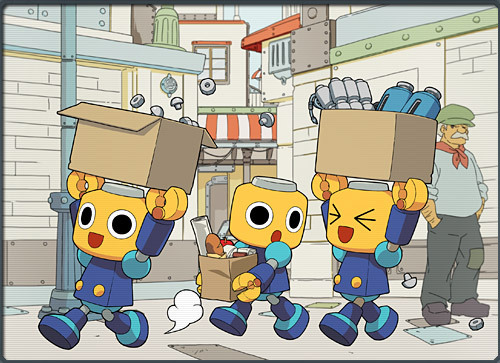 Finally, the devroom's main lady, Kinako, revealed the staff members have chosen the winning Reaverbot designs. Unfortunately, you'll be waiting until Monday, February 14th for those results! The good news is the staff loved each and every design... but there can only be so many winners. Best of luck to those who entered. Stay tuned and keep those fingers crossed! 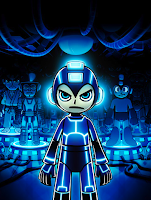 In honor of Verizon finally getting iPhone support, Capcom has dropped the price on a number of their games, including the mobile version of Mega Man 2. While it may not be the best port, it's certainly a nice on-the-go fix ... yours for only $.99. Of course, this sale is for a limited time only, so if this version of MM2 is something of interest to you, I'd advise you go ahead and make the purchase ASAP. 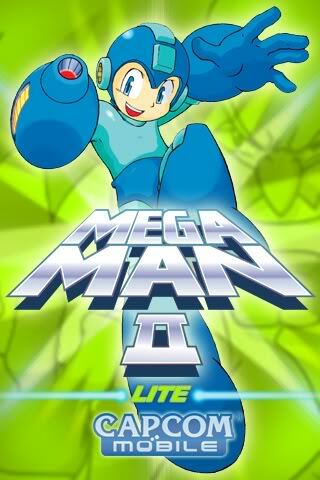 Also of note, don't be fooled by the iPhone hype; Mega Man 2 is also compatible with the iPod Touch and iPad. 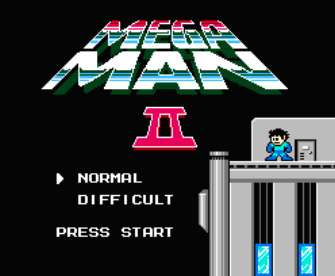 It's worth noting that Mega Man 2 "i" has received a fair amount of flack in the past, but the game is growing increasingly more playable thanks to numerous updates. A lot of improvements have been made since its launch a couple years back, mostly in the mechanics department. It's not a perfect port but like I said, it's a good quick Mega Man fix. 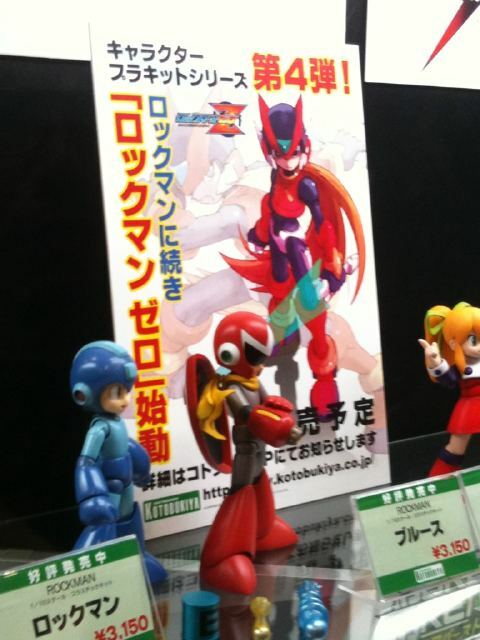 At the 2011 Wonder Festival, Kotobukiya exhibited a poster announcing their next Rockman project. Taking a break from the classic series, Kotobukiya looks to tackle the Zero series next with a model based off of none other than the red crusader himself: Zero! 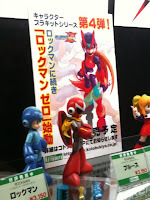 A poster advertising the figure was spotted at this weekend's Wonder Festival taking place in Japan (pictured). Rockman Unity mascot Ucchy-san made this knowledge public via a lone tweet. 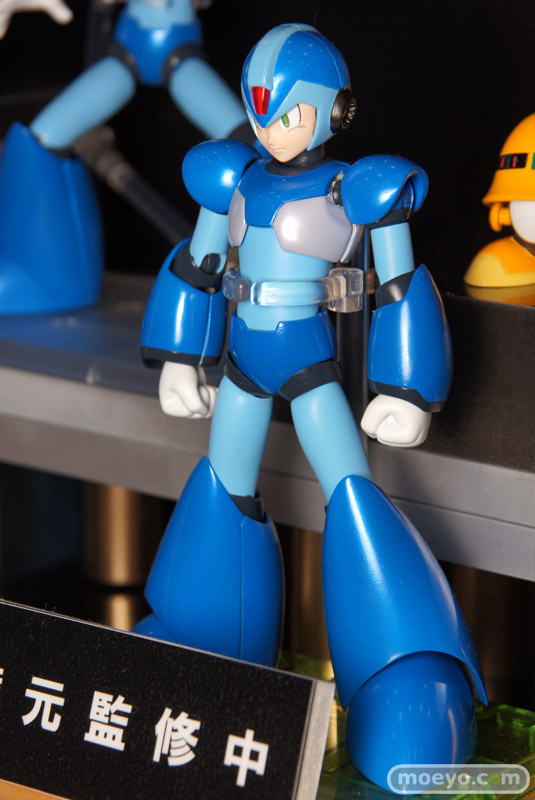 Unfortunately, thanks to the angle of this photo, we cannot determine the figure's release date. There seems to be no indication of pricing, but I imagine that announcement is forthcoming. If the past is any indication, images of the standard grey work-in-progress model should be surfacing in the very near future... that and other details. Above, screens from Lego's Ninjago Spinjitzu Smash!. 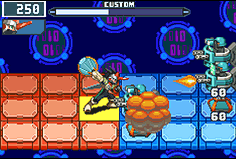 Not only is the game visually reminiscent of Battle Network's battle system, but it plays similarly, too. 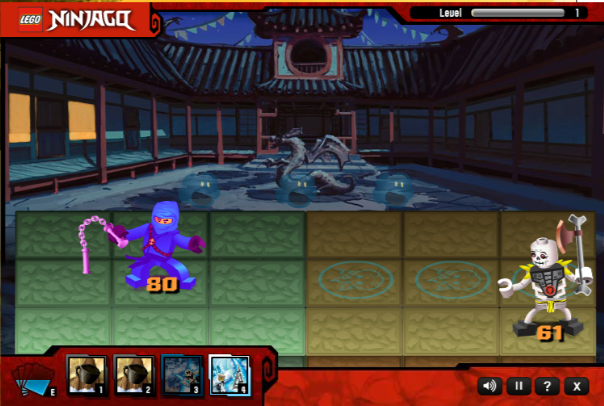 Your character is limited to movement on a 3x3 grid, unable to cross over to you opponent's side. 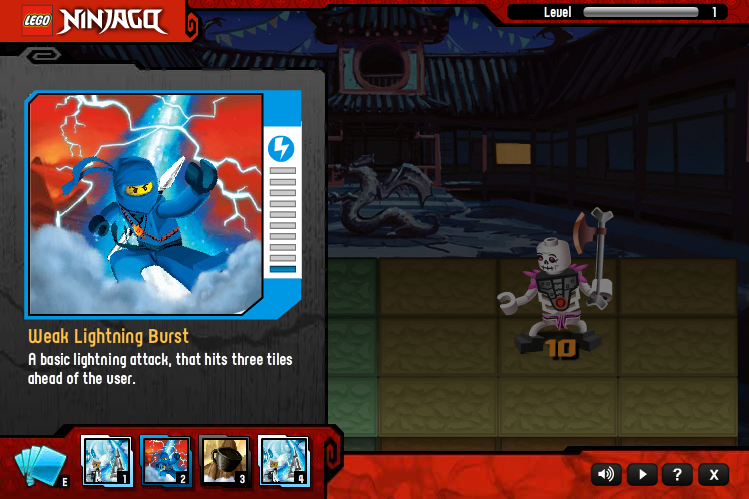 When the card gauge is full, you're prompted to select from a series of Spinjitzu battle cards -- special attacks used to deal damage to your opponent. 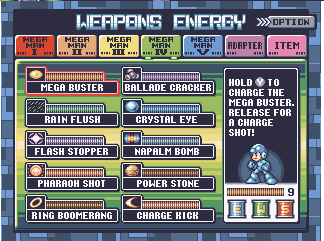 Further, you're also given the ability to throw kunai with the space bar, the equivalent of the Mega Buster. Battles are won when your opponent's HP depletes to zero, a number indicated just below their feet. Words can only describe so much. 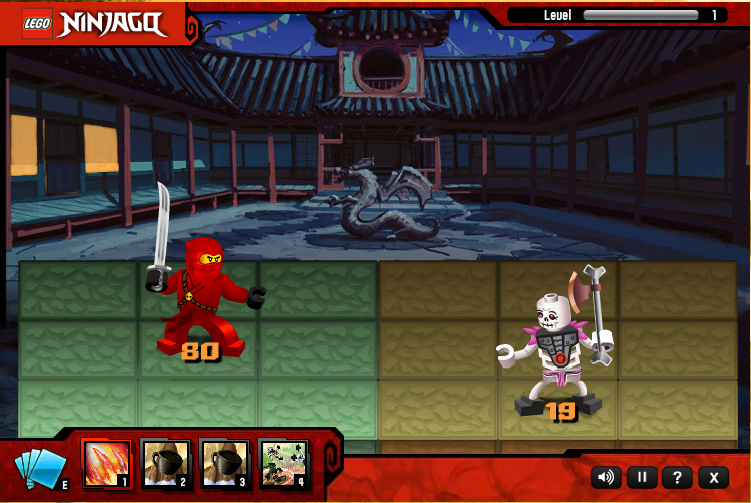 You have to experience the game yourself: click here to play Ninjago Spinjitzu Smash. A directory of Spinjitzu cards can be found here, which, as you'll soon discover, contain abilities comparable to MMBN's own Battle Cards. 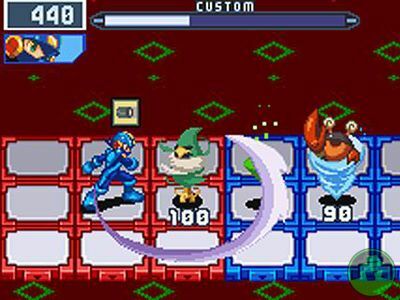 Whoever designed the game was most certainly a fan of MMBN. Um, wow. Talk about unsettling. 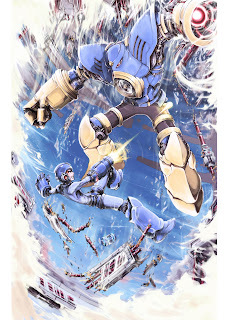 Newsarama had some time to sit down and chat with Mega Man comic writer Ian Flynn, recently. The interview reveals a few new details about the on-going comic's plot, characters, aspirations and a whole lot more. I've pulled out a small portion of interest below, but for the full read, you'll have to hop on over to Newsarama. 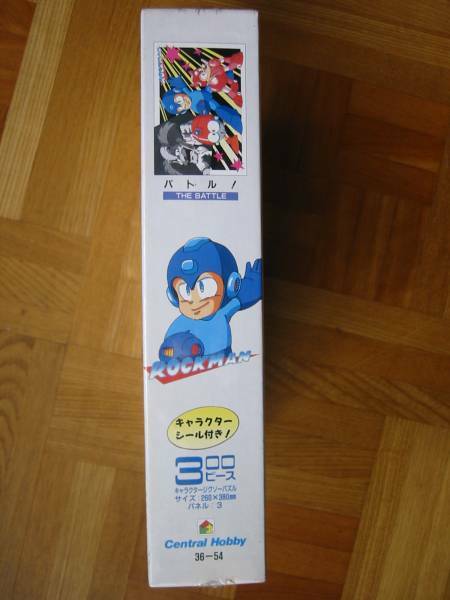 Nrama: Ian, there have been a lot of Mega Man games over the years. How does the new comic tie into that continuity? And does it have anything to do with existing Japanese manga that featured the characters? 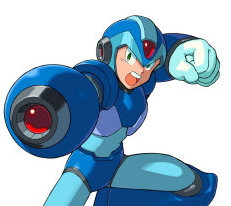 Ian Flynn: Mega Man will be looking strictly at the classic series for now. We’ll be telling the stories of Rock, A.K.A. 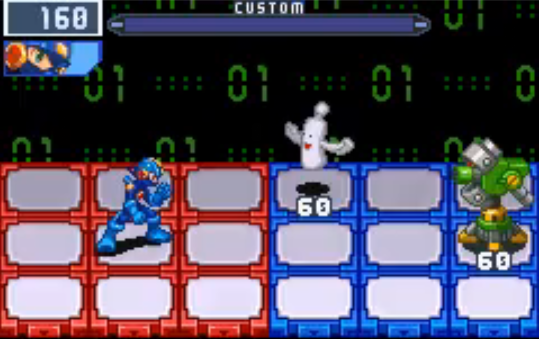 Mega Man, in his never-ending battle with Dr. Wily. We’re hoping to be as faithful to the classic series as possible and including the events from more than just the main Mega Man 1-10 games. 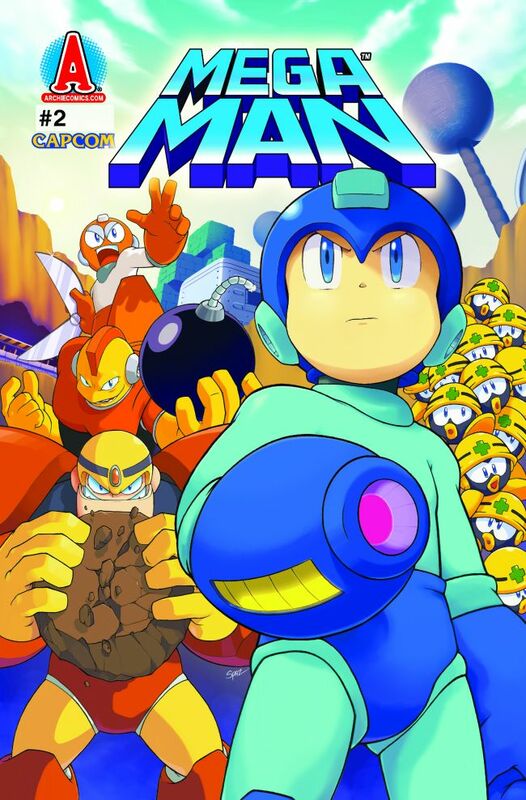 Since Hitoshi Ariga’s Mega Man Megamix does similar, I’m sure there will be a few overlapping plot points in some of the arcs, but the two series aren’t connected in any way, aside from being about the Blue Bomber. Ian has a whole lot more to say about the comic. Read the discussion in full at Newsarama! 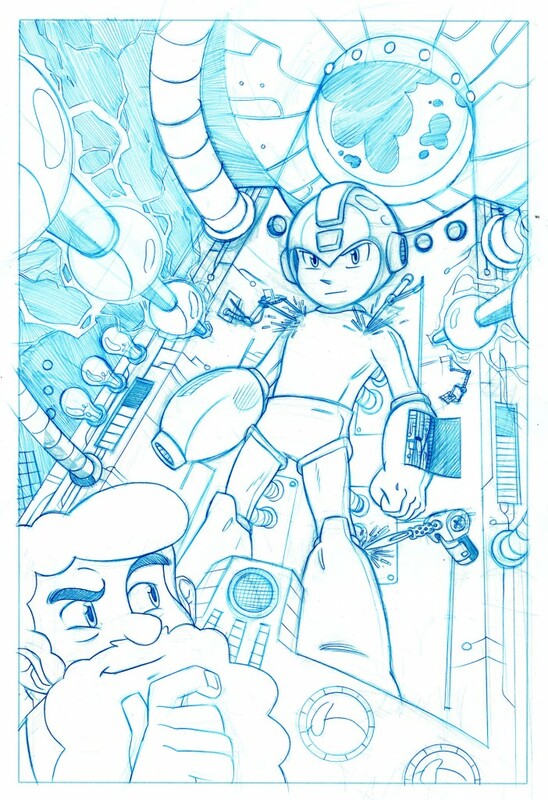 Archie's Mega Man hits newsstands everywhere May 4th. Get your subscriptions here! Now THIS is the event I personally have been waiting for. If you loved kicking the can in Legends 1 or punting that duck in Legends 2, this new event is for you! Based on a dialogue selection you make, a certain junkshop owner will consistently refer to Mega Man as “Hippopotamus” throughout the game! After recovering the stolen money from a bank robbery, you can just pocket it! 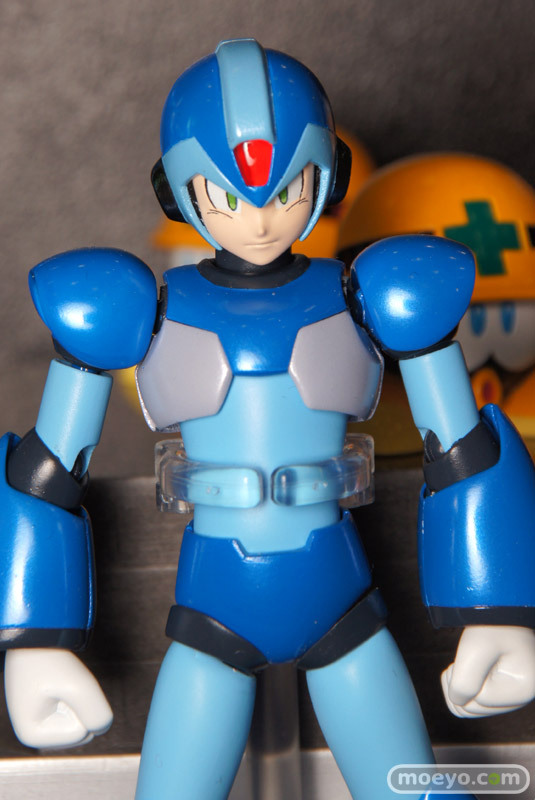 But Mega Man will turn completely black! If you kick Roll, it affects what she writes about in her diary! Capcom's looking for those kinds of ideas. This is a very open-ended event, so you're pretty much free to think up of anything... but it has to be somewhat rational. Now, if you'll excuse me, I have some pondering to do. 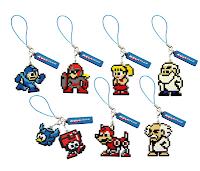 Up for preorder at E-Capcom, a set of new 8-bit-styled Rockman straps. These little trinkets, officially named Rockman Dot Strap Collection Vol 1, will release on May 31st. Nine straps in total comprise volume 1, consisting of the characters you see here. Apparently, the remaining two are being shrouded in intentional mystery. What's more, E-Capcom is selling the straps in sets of eight, so you won't recieve the complete collection with just one order. 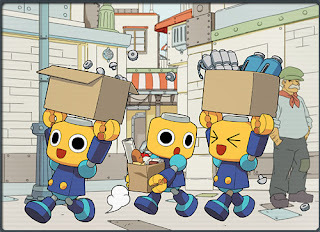 Indeed, it sounds like Capcom's using the good ol' trading figure tactic once again. 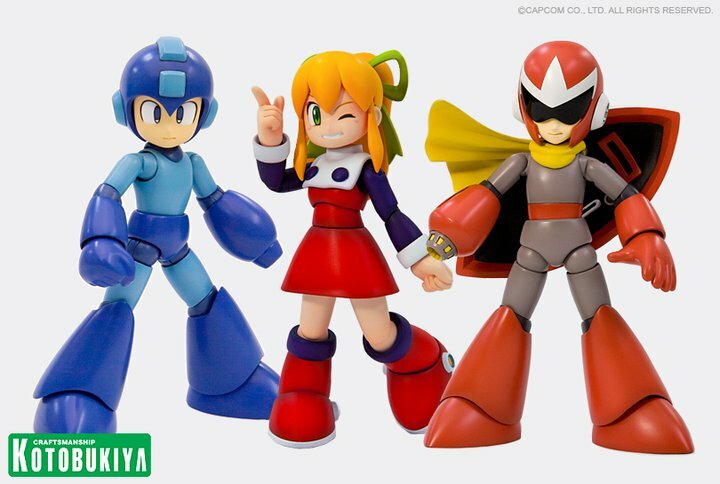 If you've got the means to do so, you can preorder a set directly through E-Capcom. 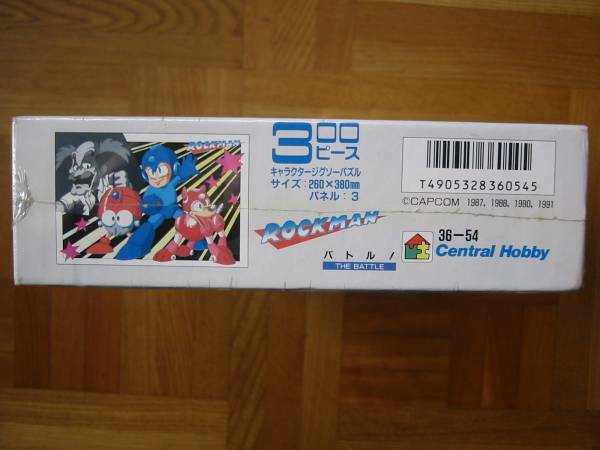 A box of eight runs for 3,598 yen (roughly $44.00 USD). My good pal Protoman has posted a rather insightful video review for the newly released Blues model from Kotobukiya, covering largely everything you'd ever want to know the model. The video also doubles a nice, extensive retrospective of past Proto Man/Blues figures, comparing the current model to toys long ago. How does it stack up against the classics? Watch and find out. Speaking of Kotobukiya Blues, don't forget to enter The Mega Man Network's Valentine's Day Blues contest! All you gotta do is design a Valentine's Day card worthy of melting staffer Tabby's heart, and you could win a free Kotobukiya Blues model kit. Hit up the link for the full details! In response to fleeting concerns regarding the status of Mega Man Universe, Capcom's Christian 'Sven' Svensson stepped in to field a question that's been on the minds of many: "is Mega Man Universe dead?" "Unfortunately, I have no new news to share on the project. It's not dead though... and it's changed a lot." What kind of changes? Sven could not specify, leaving us only to speculate. However, if we look at the criticism the title has received thus far, it's not hard to imagine just what these changes could entail. Controls and mechanics is the big one. This has been a common complaint coming from those who played an early build of the game at the Tokyo Game Show, Comic Con or Capcom's New York event this past fall. Controls have been cited as being unresponsive, stiff, and generally inaccurate when attempting to perform precision-based jumps (1Up, Joystiq). These issues are apparently magnified when playing as the custom characters, namely Metto Man who jumps a tad higher than the rest. On the other end of the spectrum, there's criticism regarding the game's art direction. This is an issue that many, many fans have been vocal about. According to the general consensus, the art style strays too far from the series traditional anime/manga influenced aesthetic. Universe's graphics themselves have been met with an equal amount of criticism, often being cited as bland, dull and generally uninspired. Sure, the game is intentionally paying tribute to the 8-bit look and feel of the classic NES games, but I think we can all agree that there's something missing. I don't know what it is for sure, but when I look at Universe I get this sense of "emptiness." Finally, there's this issue which may or may not have affected the game's current development: a Wii version. It feels a little strange that Universe, a homage to the NES Mega Man titles, isn't appearing on a Nintendo home console. However, its absence is justifiable: WiiWare file size constraints. It's possible Capcom is taking extra time to secure a Wii version, crunching or modifying the game to meet that 40 to 50MB standard. After all, Capcom has previously expressed interest in a Wii version. While we're all entitled to our opinions, it goes without saying there are issues and concerns shared by many. Thankfully, it appears Capcom is taking these concerns into consideration. This long period of silence from Universe is likely attributed to the game's extended development period. Extra time and effort will no doubt pay off in the form of a higher quality product. Hopefully, we'll be hearing (and maybe seeing) from Mega Man Universe sooner rather than later. 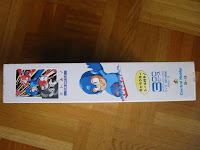 Footage of the newly released mobile phone game Rockman Diver has surfaced online courtesy of megacocorock. While the game may sound simple in theory, it actually looks quite challenging. 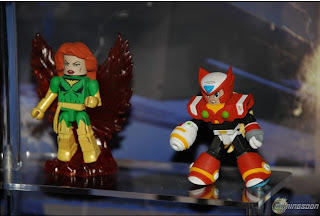 Also, it's worth noting that Splash Woman is apparently a playable character! Check it out below. The further you dive without death, the higher your score. Additional points are earned from successfully snatching a Yashichi. I wouldn't mind having this on our shores, but for 315 Yen ($3.80)? Eh, I don't think so. $0.99 seems a bit more reasonable, if you ask me. 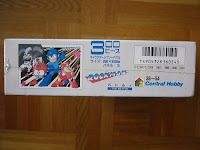 Currently up for bidding on good ol' Yahoo Auctions Japan, a sealed Rockman jigsaw puzzle set from 1991. '91 marked the beginning of the blue boy's merchandising career (coinciding with Rockman 4), so it's possible we're looking at one of the very first pieces of official Rockman merch. in the franchise's twenty three-year history... Unopened, no less. When completed, the 300-piece puzzle forms a rather snazzy image of Rockman posing with Eddie and Rush while Dr. Wily looms in the background. The puzzle measures in at 260x380mm or roughly 10x15 inches. Pricing isn't too bad... at least without import and proxy fees. Currently, it's going for 3,000 Yen ($36.80 USD). That price will go up depending upon your location and proxy bidding service of choice (Rinkya and the like). If you've got the means to do so and would like to add this item to your collection, you can bid on it right here. "When a robot master's life is 0, invincibility is activated on the player, unlike in Mega Man (1) where you could die by a leftover projectile, but since invincibility was activated, it won't turn off until you get to the "get weapon" screen or start another stage. 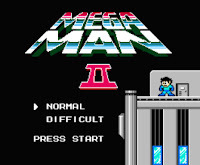 I'm not sure if this can be done on other versions of Mega Man 2, this is the NES version." The glitch is present in both the legitimate NES cartridge and emulation. Doubtful this trick works with other Robot Masters (Bubble Man is the only one with one-hit-kill obstacles in his room), but it's worth investigating.